Van Van was quick to jump on the street food bandwagon that got going in Barcelona back in 2014. 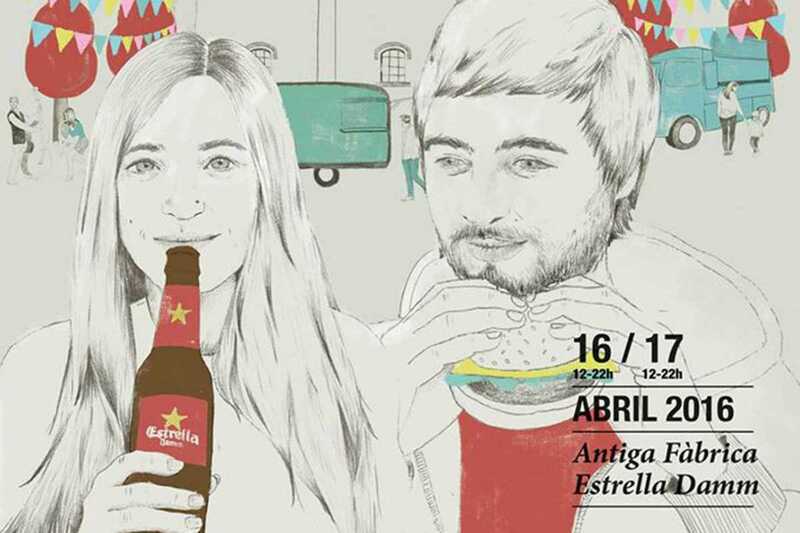 This month they bring their habitual array of food trucks to Antiga Fàbrica Estrella Damm for an event combining street food with black music concerts. Meanwhile DJs Harry Callahan, Jordi Duró, Eneida Fever and Turis Bang Bang will keep the music flowing while you sample street food from vendors BurgerCia, Chök, Cremeria Toscana, El Petit Bangkok, Fogons Urbans, La Carletta, La Porchetta, La Volovan, MariaUnaCrep, Masala ‘73, Mr Frank and the Butis, Nømad Coffee, Pebre Negre, Reina Croqueta, Surf House and Warike. For the little ones, Plom Gallery will be onhand organizing artistic workshops on both days (12:30pm–3pm and 4:30pm–7pm). And get there by bike with no fear as the good folks from Bicilocker will be guarding your fixie as it sits in the bicycle parking area.